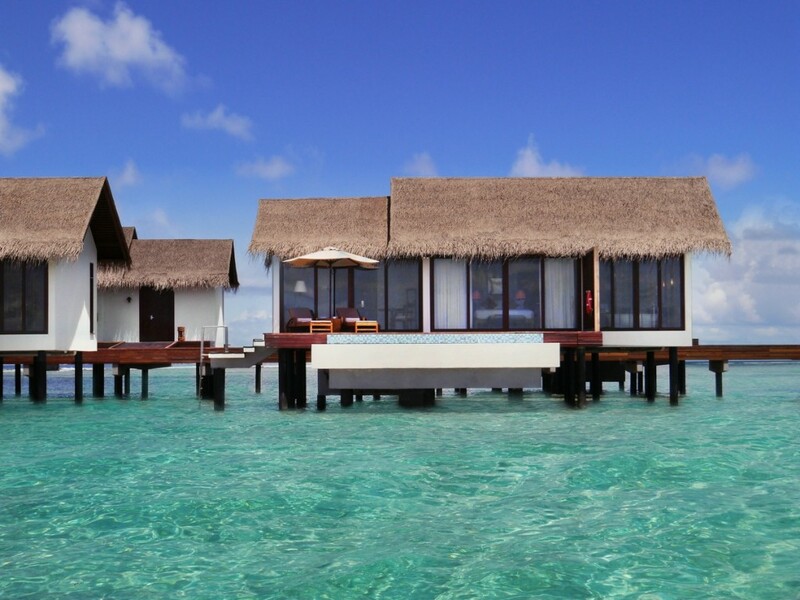 The Residence Maldives is an exclusive retreat on Falhumaafushi,an island located in the Gaafu Alifu atoll-one of the largest and deepest atolls in the world. This secluded resort is located 242 miles south of Male International Airport.The domestic transfer to Kooddoo Airport is a scenic 55-minute flight followed by a short 7-minute speedboat transfer direct to the resort. 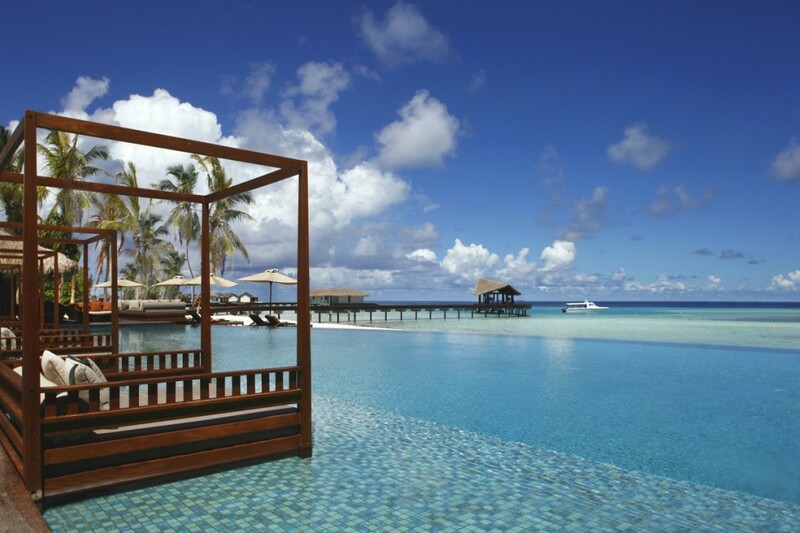 A 90-minute sea-plane direct transfer from Male can be arranged separately. 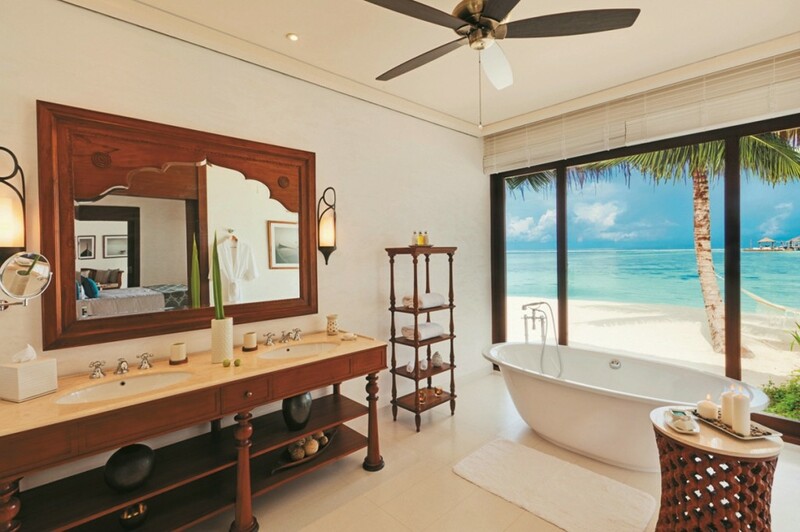 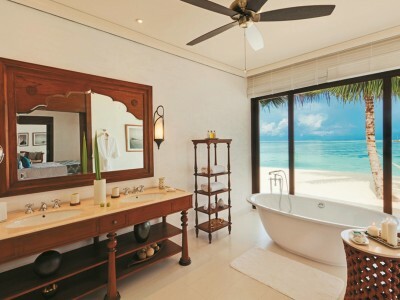 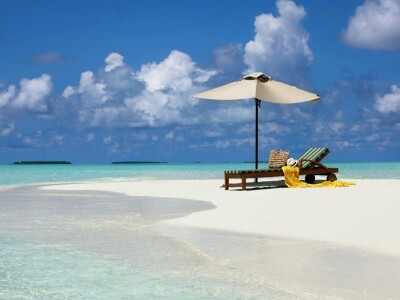 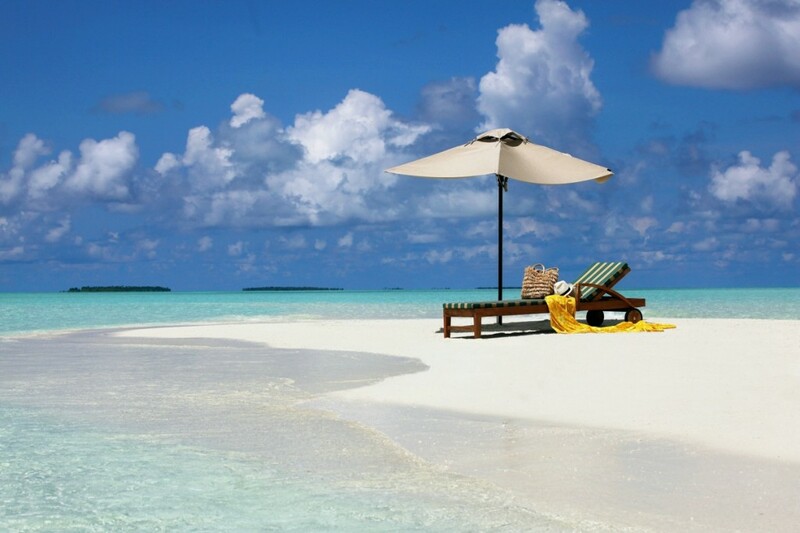 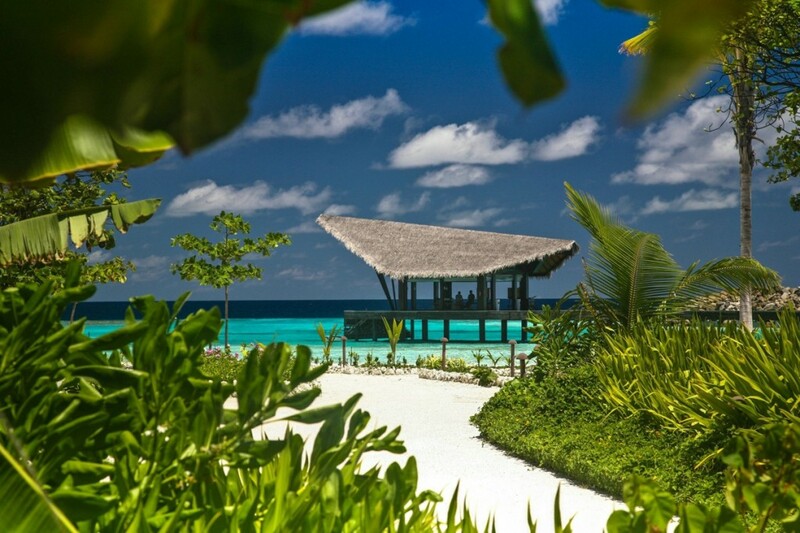 Step out of your Beach Villa and feel the warm sand trickling between your toes. 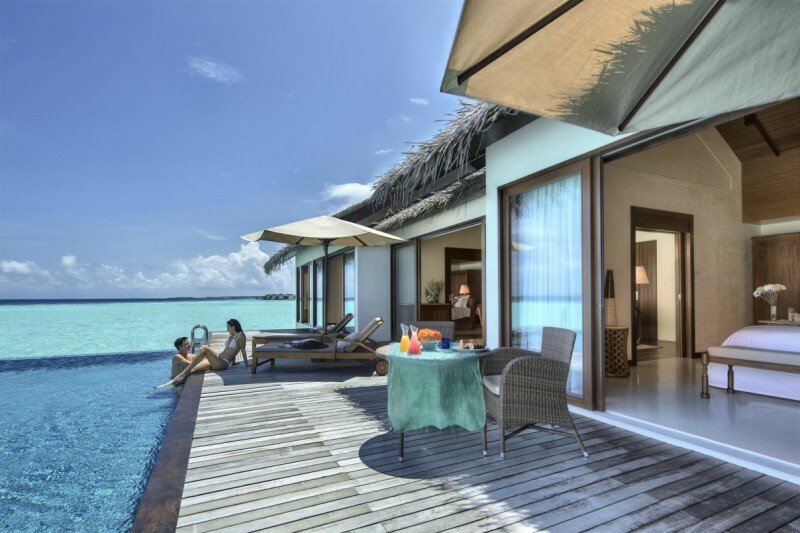 Built on the idyllic seashore amidst the soothing greenery, each Beach Villa comes with direct access to the beach – a delightful playground for your little ones. 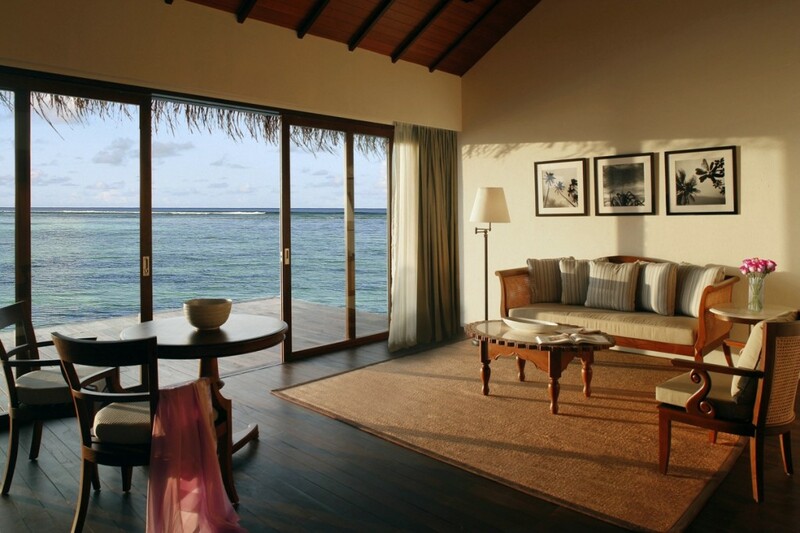 The spacious living room leads out to a cosy verandah so you can enjoy the expansive views of the ocean. 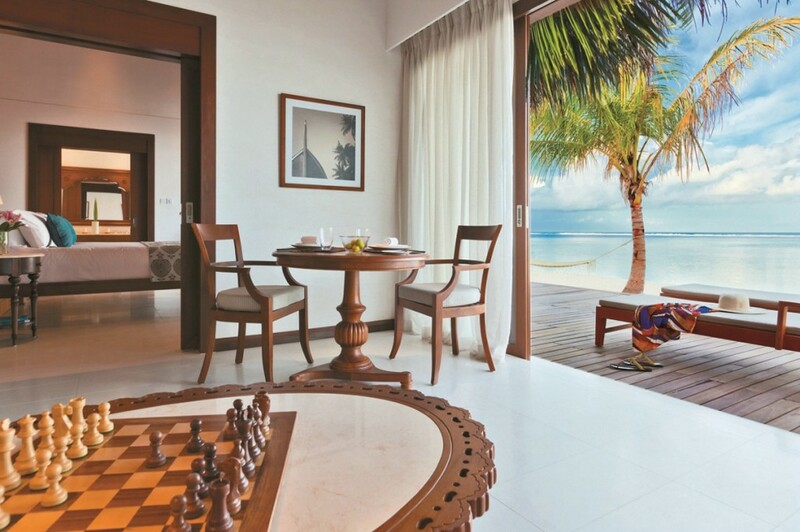 This spacious villa is ideal for guests travelling as a family. 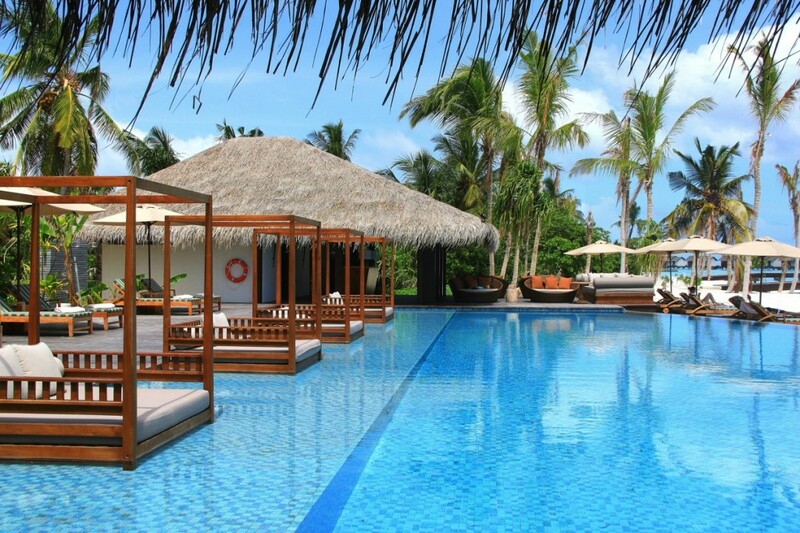 Enjoy your time together on the beach or simply relax by your pool. 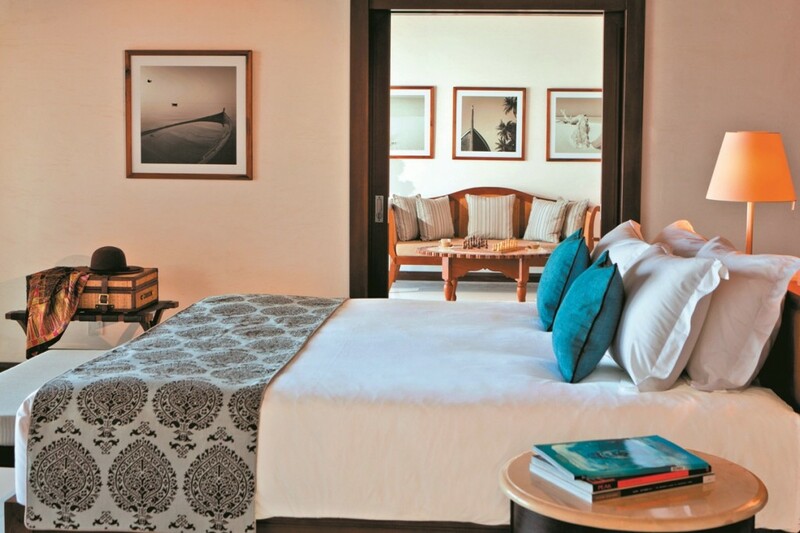 The additional bedroom features twin beds or a king-sized bed depending on the group’s preference. 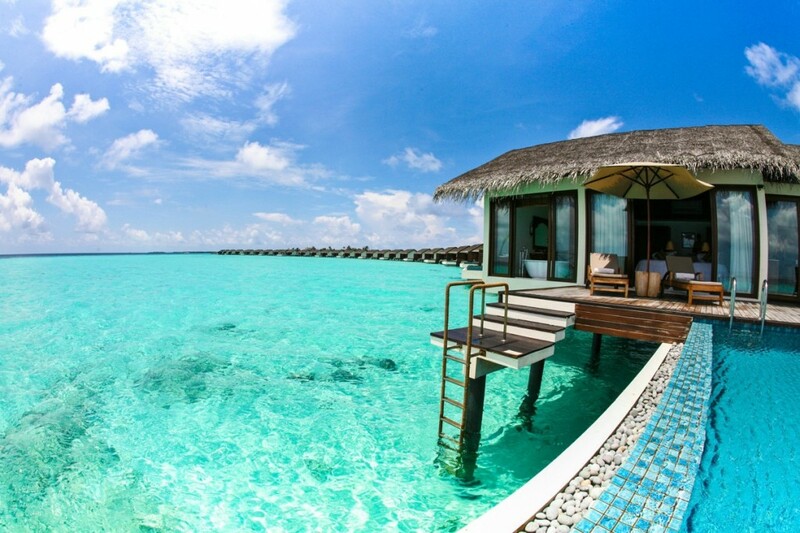 Wake up to the spellbinding tranquility of the ocean in a Water Villa with gentle waves lapping at your doorstep. 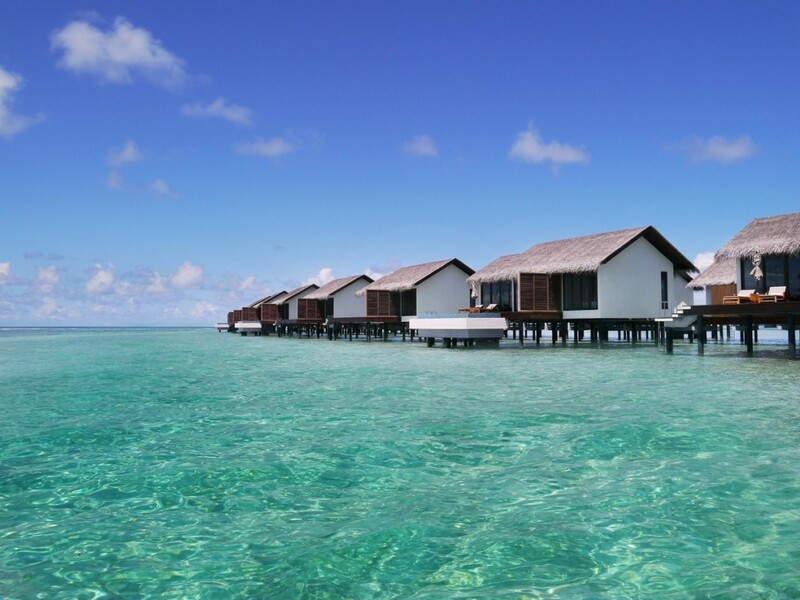 Watch the vivid coral reefs and lively schools of fish that abound in the waters right beneath your feet in the glistening waters below. 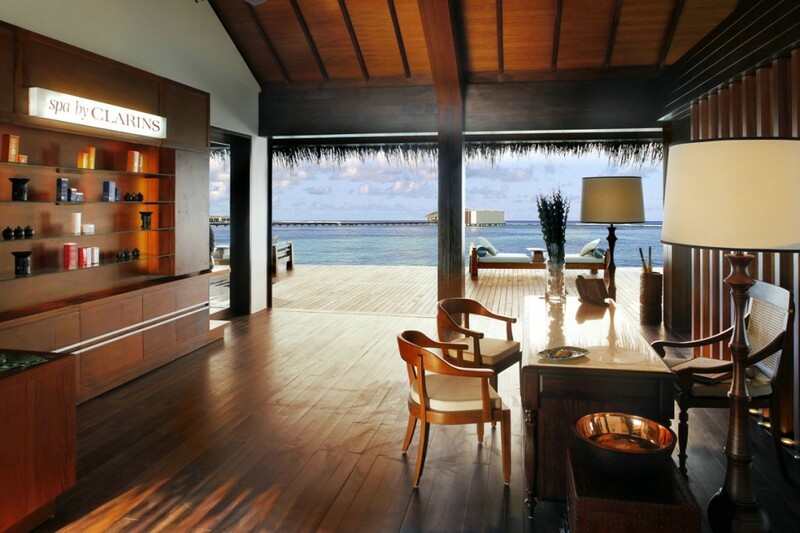 Each of our Water Villas features a spacious living room that leads to a private verandah, where you can indulge in the Maldivian sunshine and enjoy the live aquarium before your very eyes. 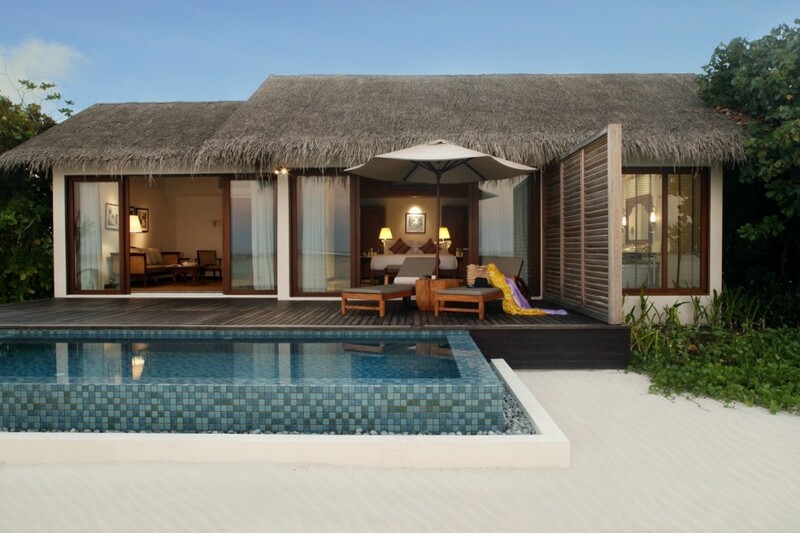 The Deluxe Water Pool Villa features an oversized living room for guests who enjoy the luxury of space. 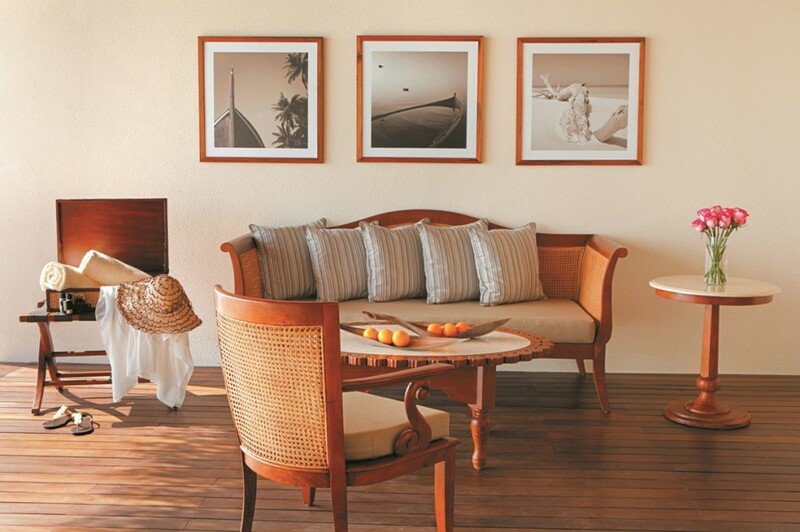 Enjoy optimal comfort while reading or simply relaxing on the sofa. 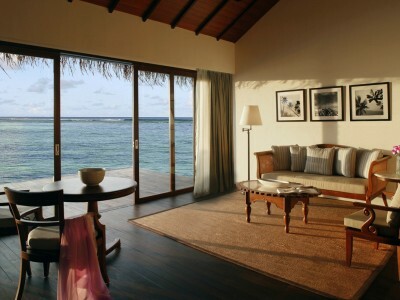 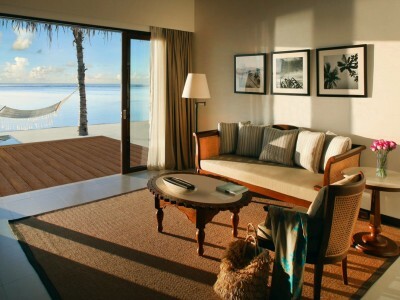 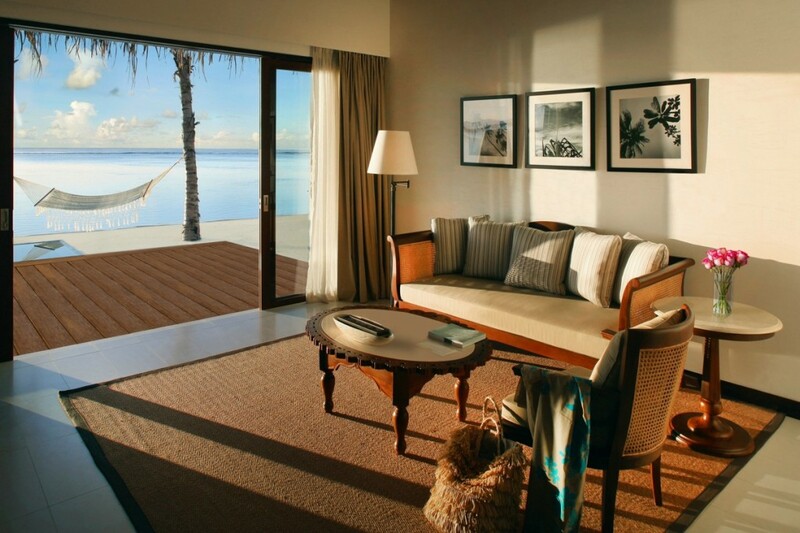 The expansive over-the-water villa is suitable for couples travelling together or families with older children. 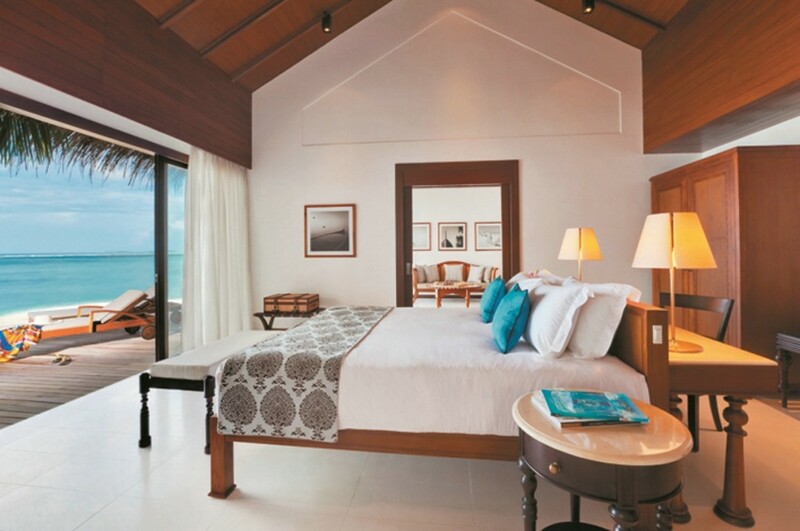 The additional bedroom features twin beds or a king-sized bed. 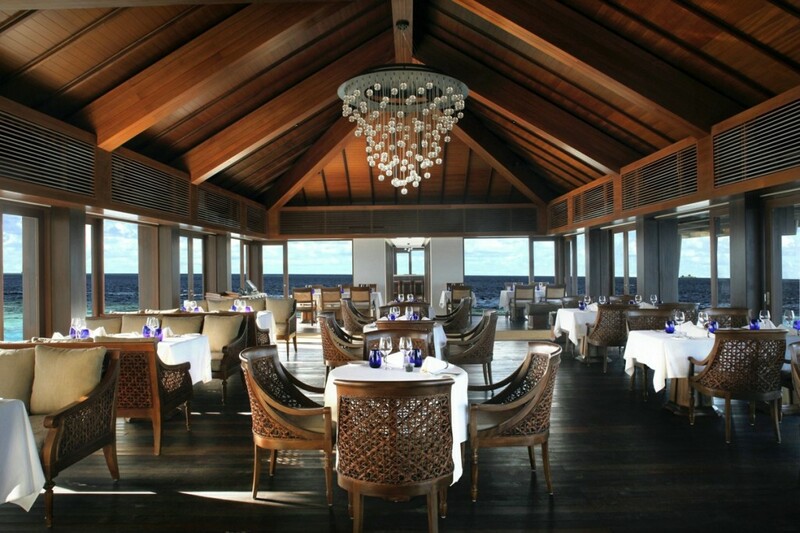 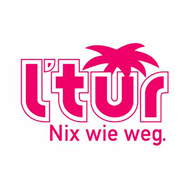 The main restaurant is a modern beachfront bistro offering both indoor and outdoor seating overlooking the lagoon. 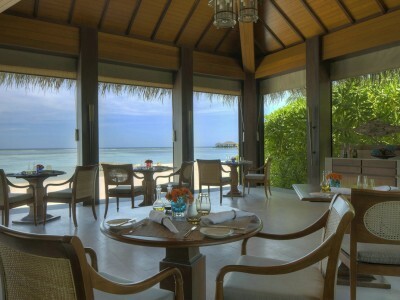 It offers an extensive à la carte breakfast menu, as well as healthy salads and light meals for lunch. 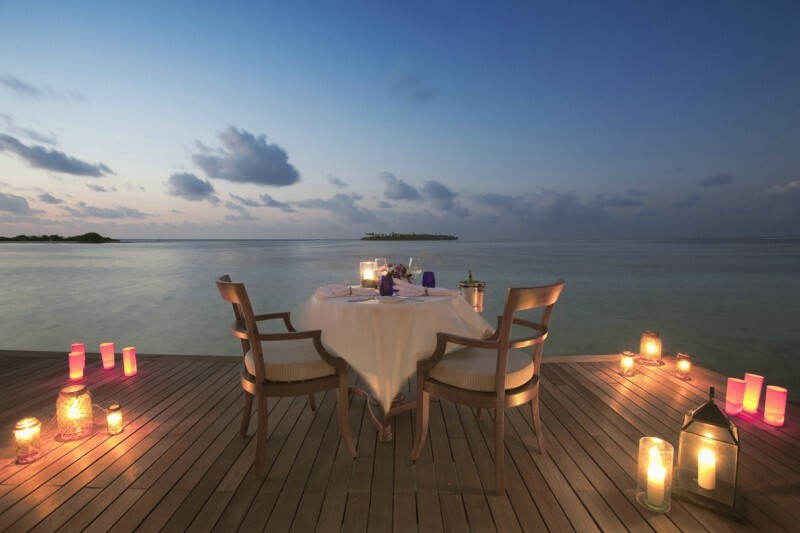 In the evenings the focus is upon World, Asian and Indian Ocean cuisine with a contemporary twist. A children’s menu is also available. This overwater venue is spectacularly located at the end of a 230m long jetty above the reef. 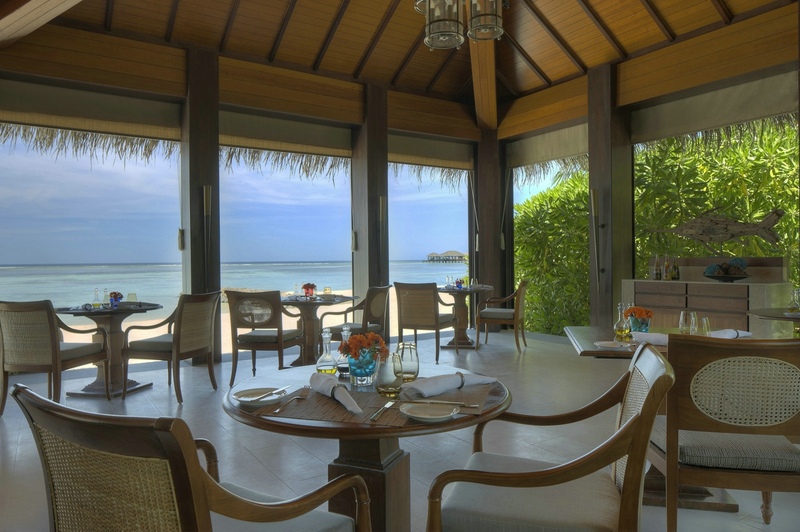 The menu features western cuisine with the emphasis on fresh seafood and grilled meats complemented by fine wines from around the world. 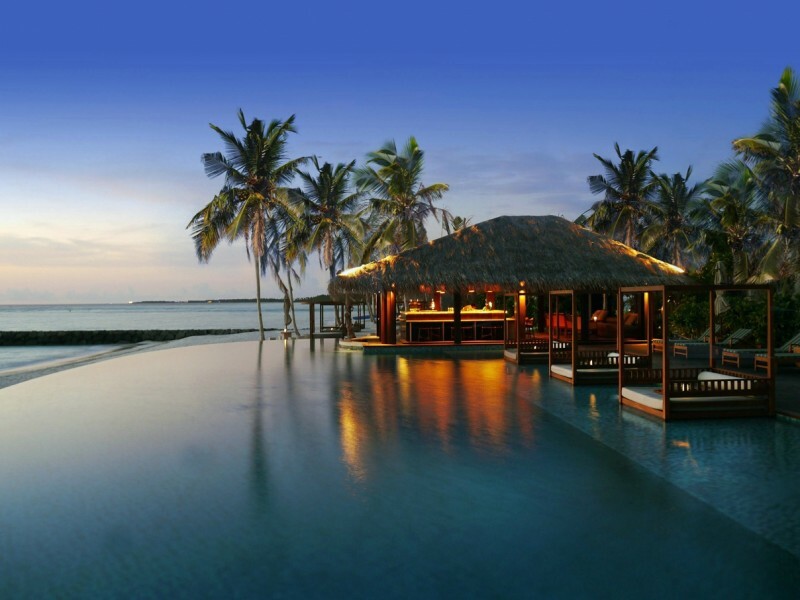 The bar is a relaxed and intimate setting for aperitifs and after-dinner liqueurs. 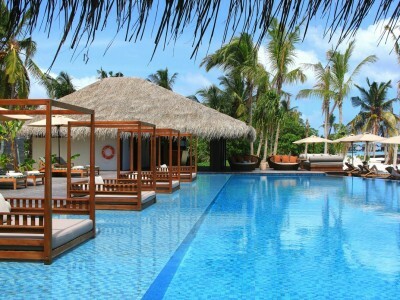 Overlooking the beach and partially submerged in the swimming pool, The Beach Bar is the focal point of the resort. 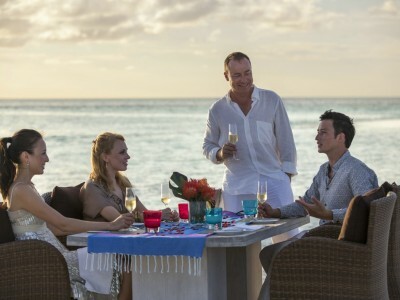 It offers light meals and island-style drinks during the day, tapas and signature infused spirits served when the sun goes down. 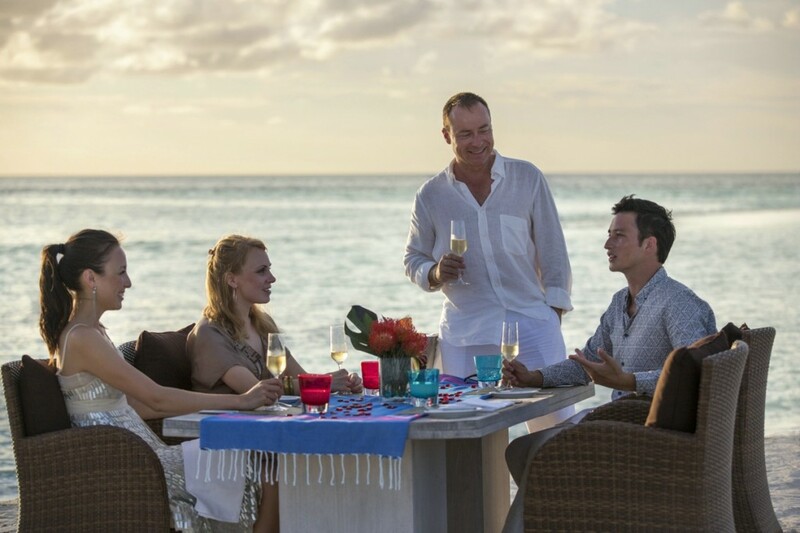 A variety of 24-hour private dining options are also available with the emphasis on romance. 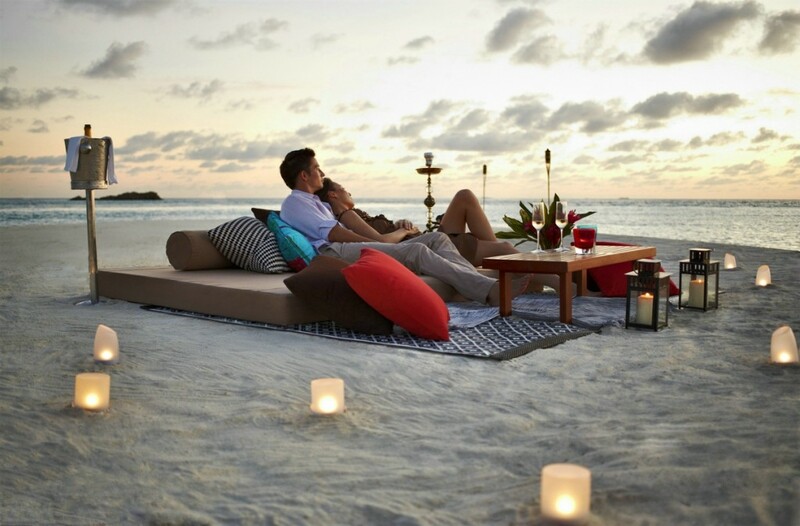 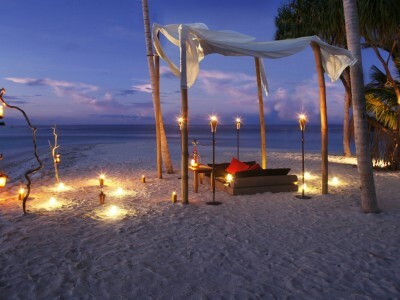 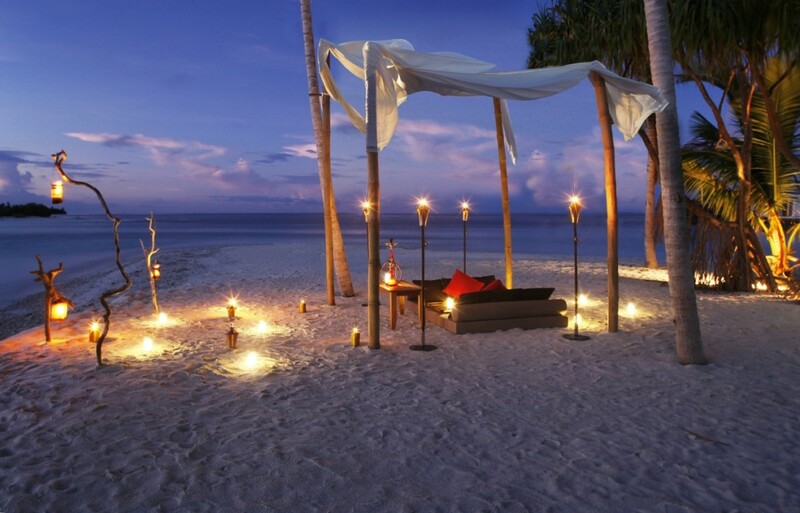 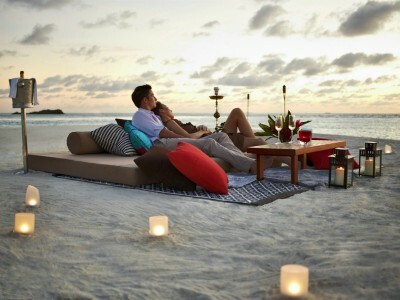 Couples can dine alone together beneath the stars either on a beach or the private terrace of their luxury villa. 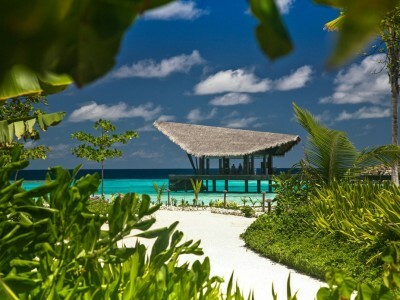 A private castaway island also awaits for a real Robinson Crusoe experience. 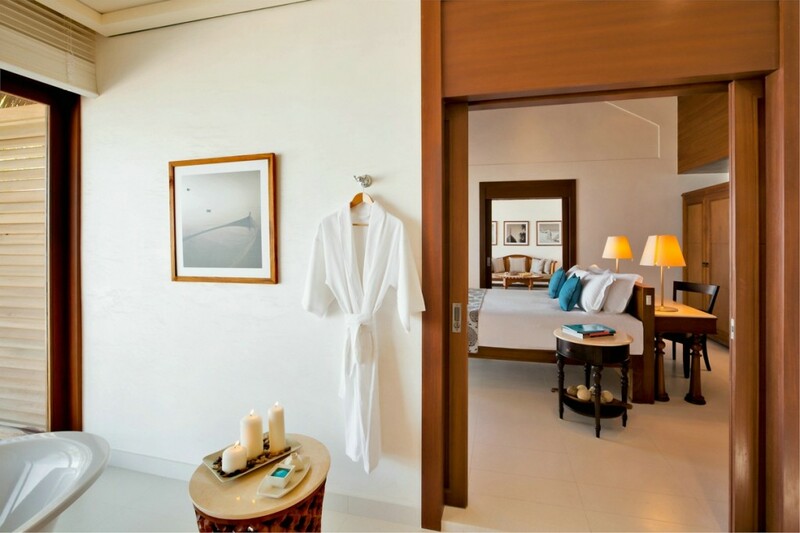 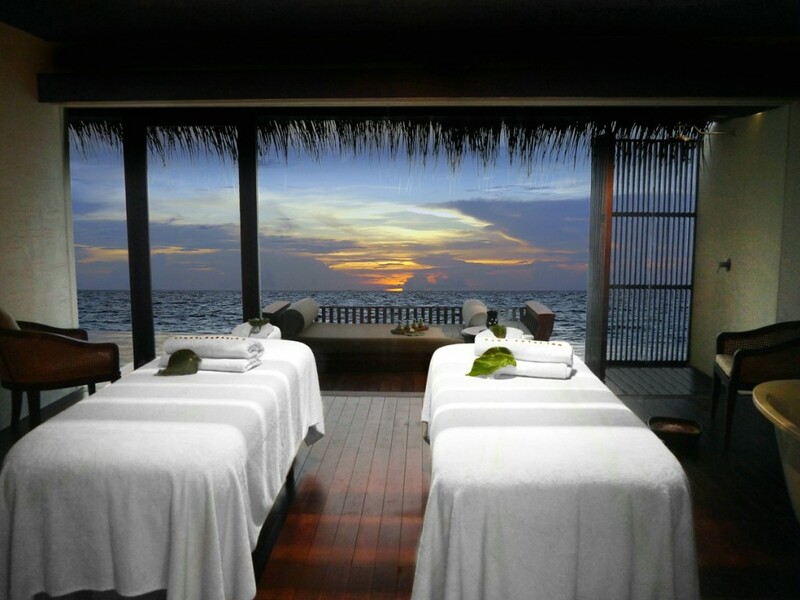 Step into a haven of tranquillity at the first and only The Spa by Clarins in the Maldives. 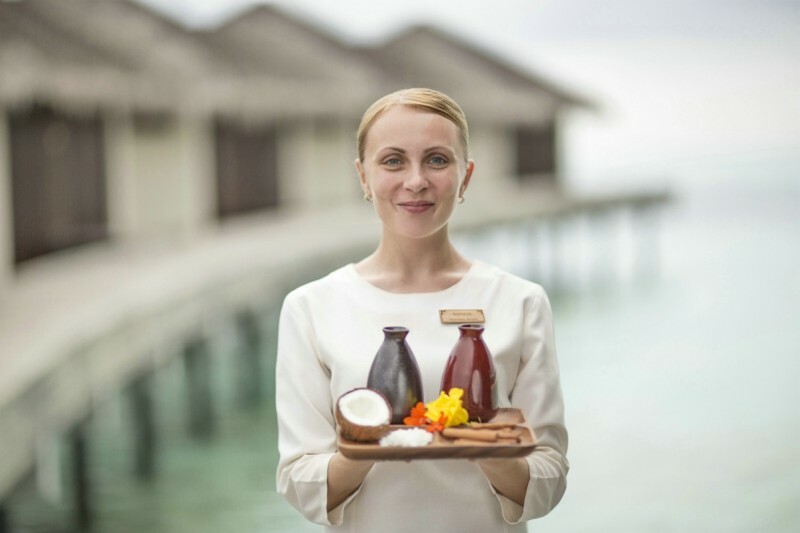 As an internationally renowned pioneer of natural beauty, Clarins’ spa products are made of active ingredients with plant origins. 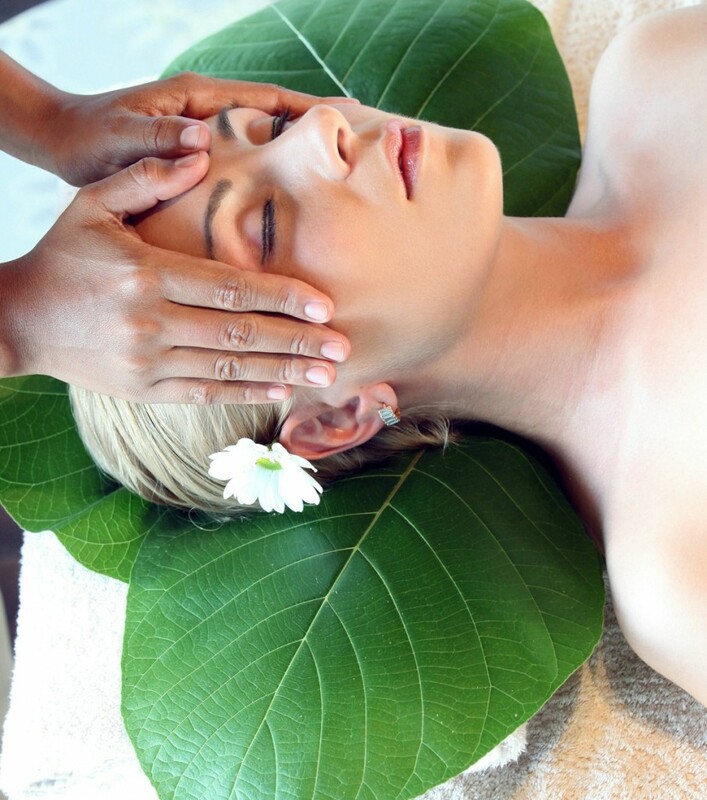 Unique formulas are specially developed for the expert hands of our beauty therapists. 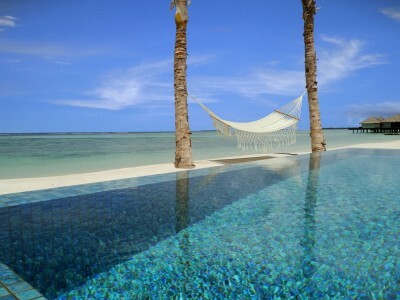 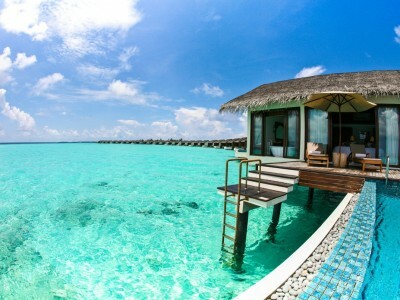 Linked to the main land by a jetty, the spa overlooks the soothing waters of the lagoon and a rainbow of coral reefs. 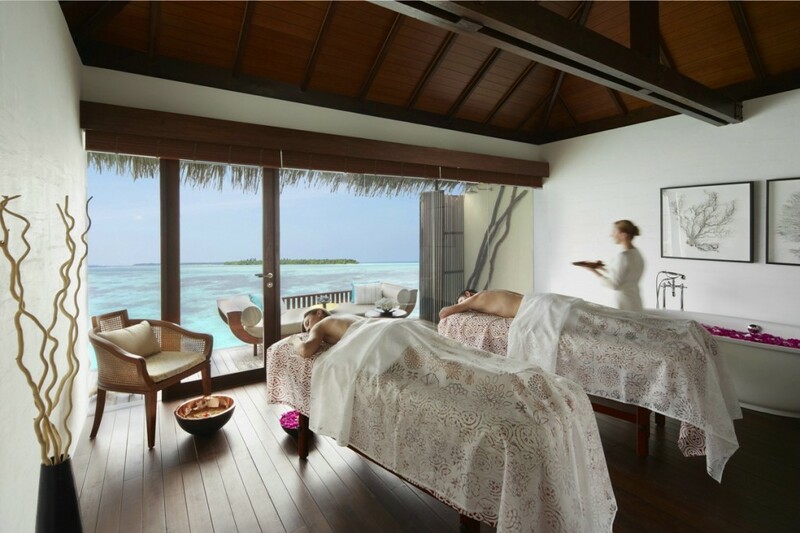 Comprising six separate pavilions and an ensuite hair salon, the Spa offers an array of holistic treatments, pampering massages and hair services that will rejuvenate your body and mind. 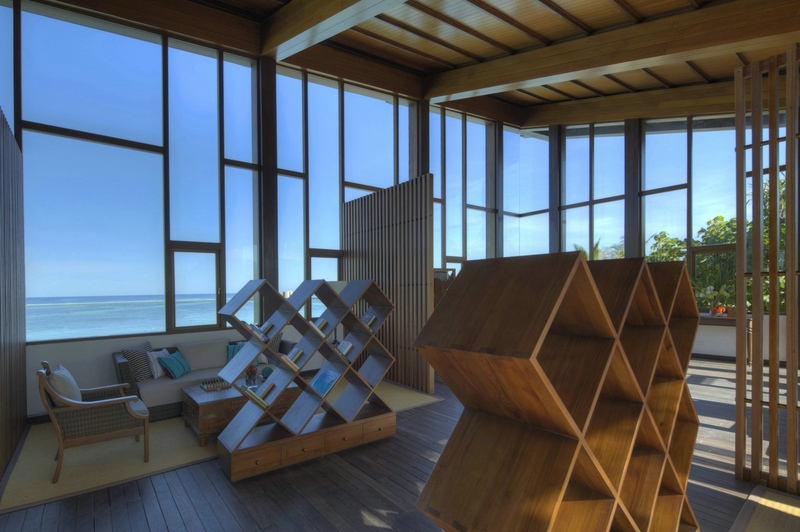 A large open deck, dedicated to meditation and yoga classes embraces both the views and the breeze for the ultimate relaxation. 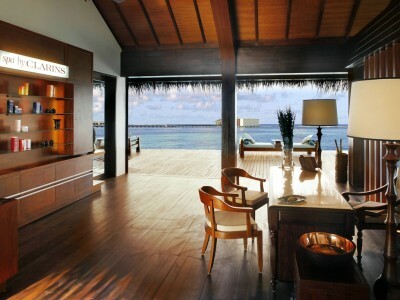 Whether you are seeking a laid-back getaway or an exciting vacation, The Residence Maldives has something for everyone. 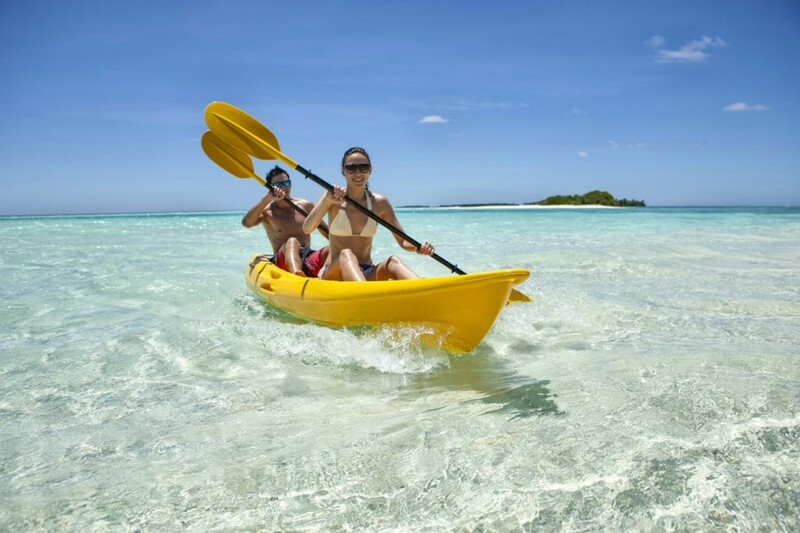 Adventure seekers can engage in a selection of exhilarating water sports while those who wish to savour life at a slower pace can opt for more relaxing activities on land. 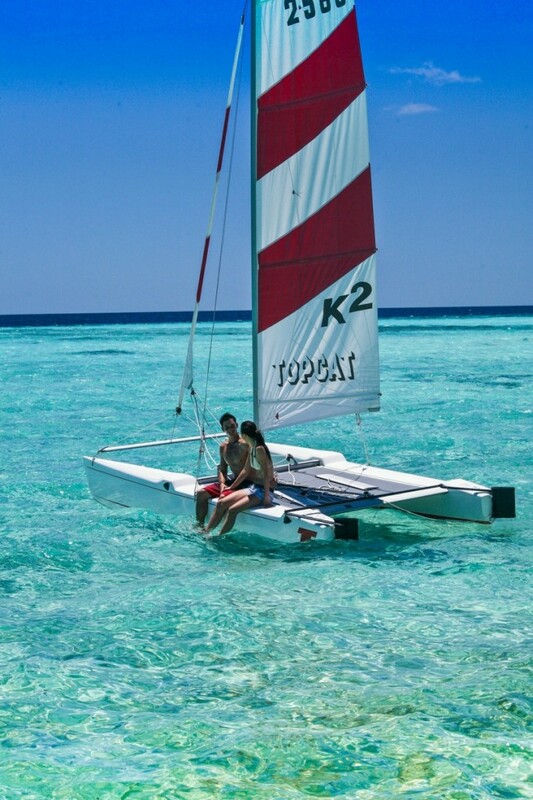 Guests travelling with children can participate in fun family activities suitable for the whole family. 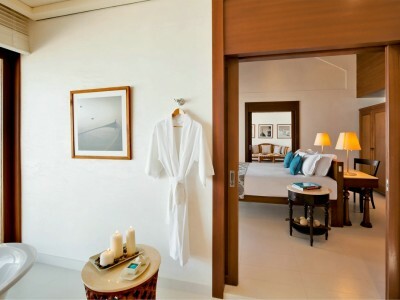 A variety of facilities is also available for guests. 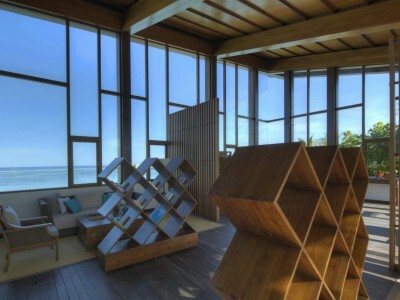 Located above the lobby with lagoon vistas, the Library features an extensive collection of paperbacks, reference books, DVDs and CDs. 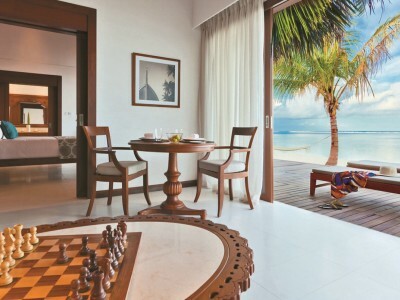 Board games and internet services are also provided. 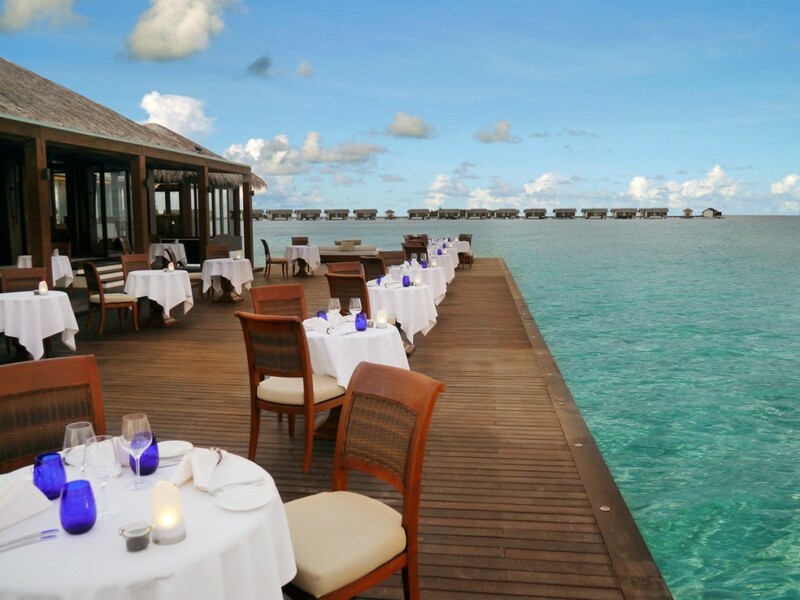 Beverages are served on request. 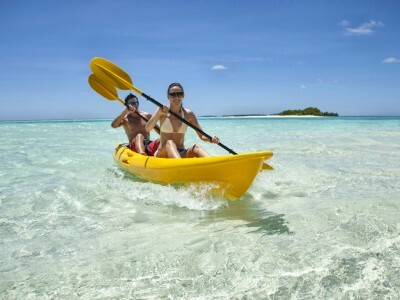 The Maldives is the place to be for water sports and activities. 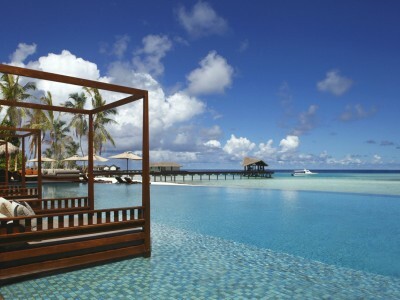 The vast surroundings and captivating setting give you a complete sense of freedom for a once-in-a-lifetime experience. All non-motorised activities and snorkelling equipment are complimentary. 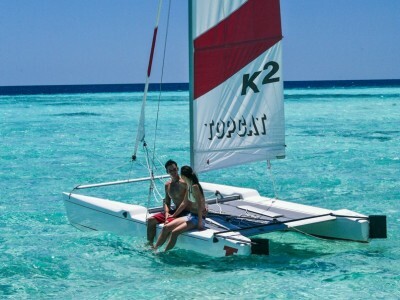 Lessons for catamaran, windsurfing and boating are available for beginners at a fee. 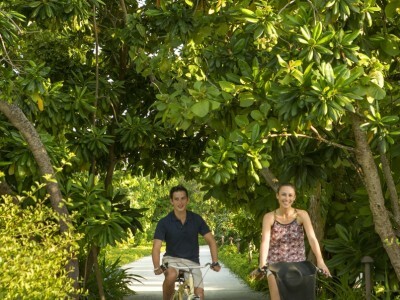 Motorised activities are available at an additional charge. 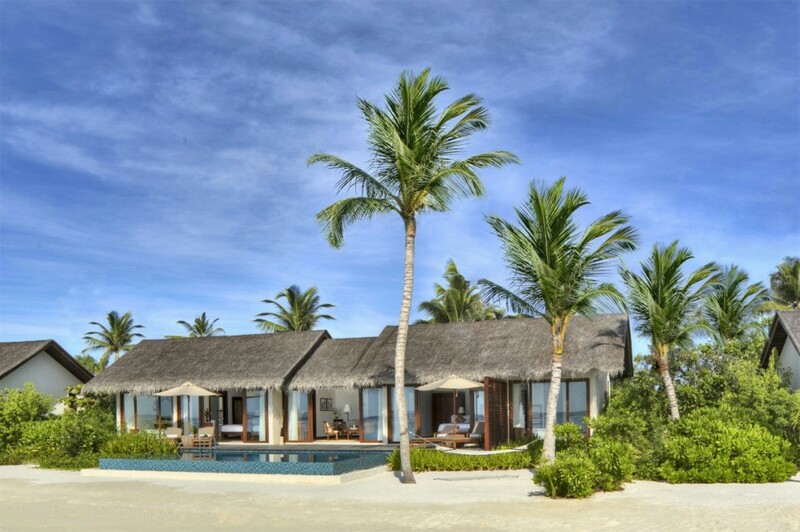 Seasoned snorkelers and divers will be delighted to know that The Residence Maldives has its very own PADI 5-Star Dive Centre, as well as rare, unspoilt coral reefs in the vicinity of the Gaafu Alifu Atoll where the resort is located. 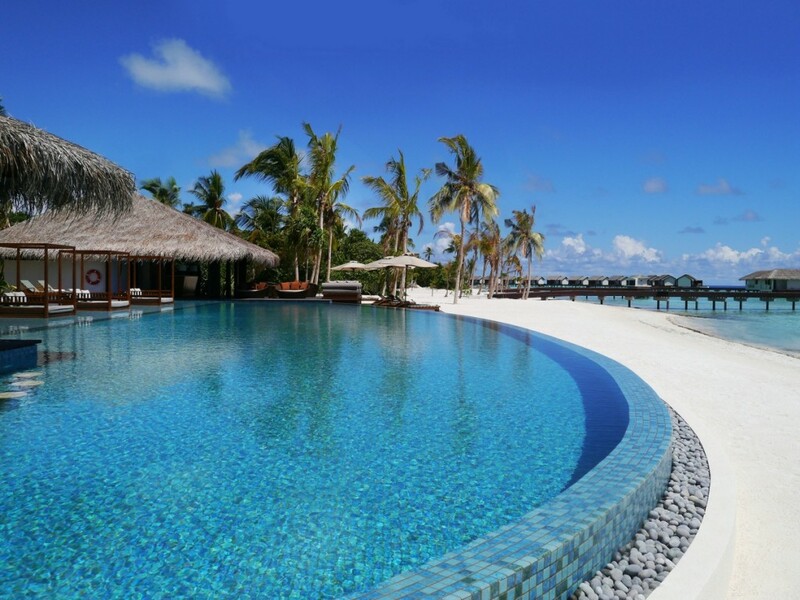 Surrounding the resort are exceptional dive sites, rich with spectacular marine life including white tip sharks, barracudas, reef fishes and turtles. 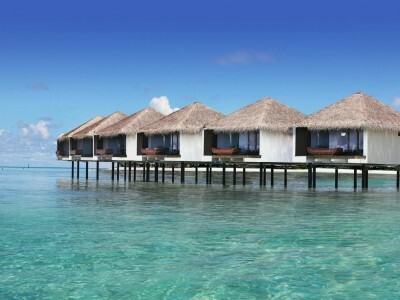 These sites are merely 5 minutes to an hour away from the resort and can be reached by a dive boat. Beginners can take PADI courses in a relaxed and secure environment from multi-lingual diving instructors. 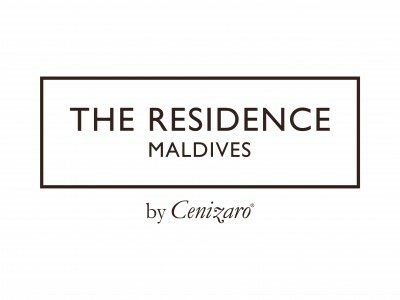 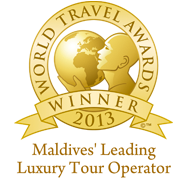 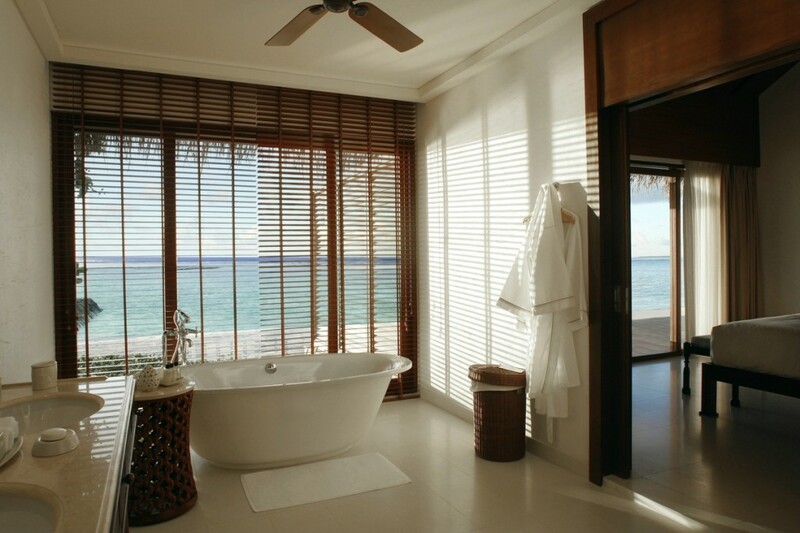 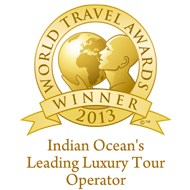 Be the first to review The Residence Maldives.